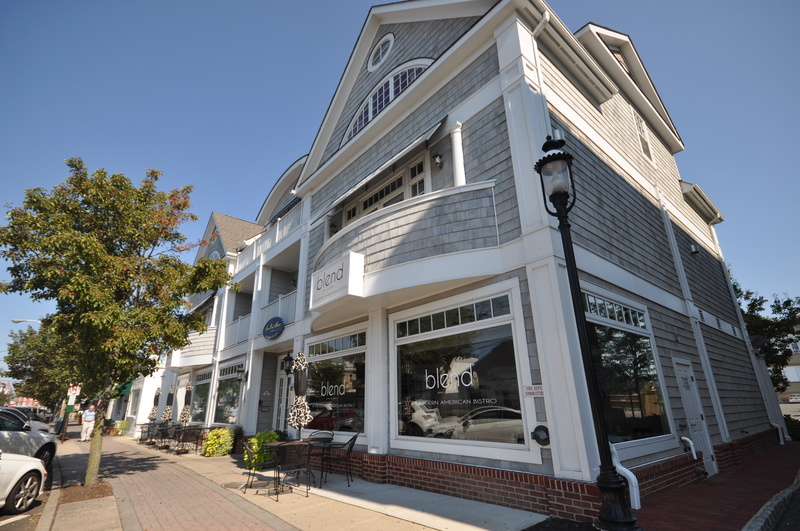 The Inn on Main is a limited-service boutique inn offering private and modern residential-style accommodations. All rooms but one have fireplaces (except Room 202), private bathrooms with shower, mini-refrigerator, coffee maker, flat-screen cable TV and wireless internet access. We’re open year-round. Constructed in 2003, the Inn sports a Nantucket-Jersey Shingle architecture and is maintained in highest standards by a professional staff. There are 12 rooms, and no two are alike. Maid service is available from 11 am to 4 pm daily in peak season. The Inn has a unique self-check-in process using pin codes that allow customers to access the Inn or their rooms at anytime from 3 pm. To further simplify check-in, all charges are processed to credit cards prior to arrival. We are happy to have Blend on Main Restaurant, the area’s leading restaurant (also a BYOB), on our ground floor. Breakfast is not included in the room rate, but is available at Pit Peach Cafe on our ground floor and at many restaurants nearby. Parking at the rear of the building is shared with Blend and Townhouses, and is on a first-come, first-served basis.